When you face a legal issue that involves your family and your future, get the advice and guidance you need from The Law Offices of Dawn K. Gull in Wexford, Pennsylvania. 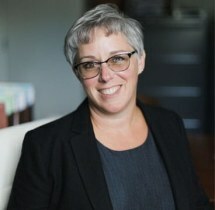 Our firm is led by attorney Dawn K. Gull, a tenacious and skilled lawyer with more than 20 years of experience handling divorce and family law matters. At every stage of the case, our law firm is committed to providing clients with straightforward information. The more realistic we are about the potential resolutions, including the benefits and drawbacks of all options, the better prepared you will be for how the outcome will impact your life. It is important to us that we are cost-effective in the actions that we take, and ensure that everything we do is in your best interests. Handling cases from our law office in Wexford, we work with clients in Allegheny County, Beaver County, Butler County and all of the surrounding areas. We also meet with clients in downtown Pittsburgh. Call The Law Offices of Dawn K. Gull today at 412-944-2215.